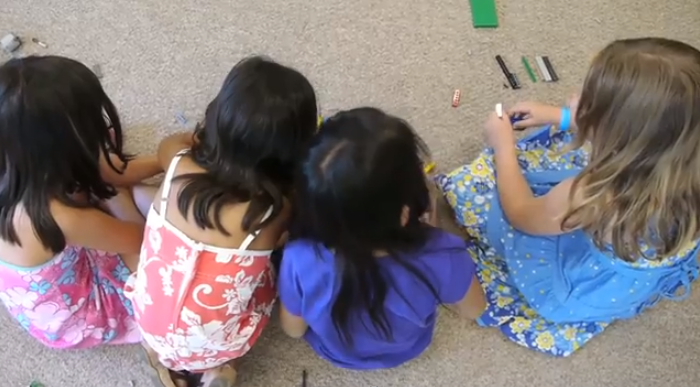 All Girls Engineering with LEGO® Camp Featured On Q13 Fox & King 5 In Seattle! 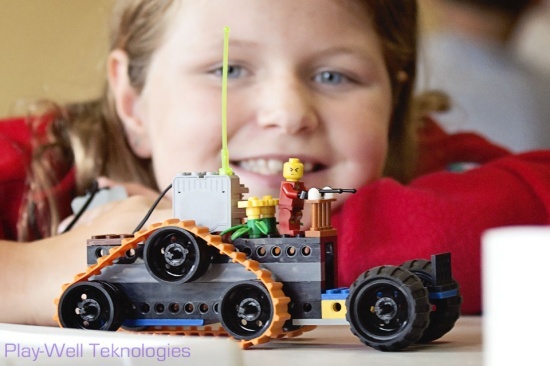 WHY: Play-Well TEKnologies is running an all girls Engineering with LEGO® program for 2nd – 5th Grade female students at the Phinney Neighborhood Center. It is the first all girls engineering program of its kind conducted in the Phinney neighborhood that addresses STEM (Science, Technology, Engineering, Math) Education. A recent study by the National Science Foundation and the American Association of University Women found that female university graduates were earning less than 20% of Bachelor’s Degrees in STEM related fields. This existed even though the number of H.S. female students identified as “mathematically gifted” (scoring above 700 in the Math SAT exam) was over 33%. The goal of programs such as Play-Well’s is to help introduce these STEM fields at an early age to girls, demystifying engineering, so that these young female students can see themselves one day as engineers, computer programmers, and scientists. Play-Well Washington’s Manager, Molly Lebowitz, is one of the 20% of female engineers who achieved her degree in the male-dominated engineering field. 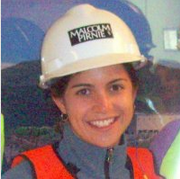 Molly graduated from Cornell University and used to work for an environmental engineering organization. She contributed to the EngineerGirl initiative through the National Academy of Engineering for 5 years. While at Play-Well, she quickly noticed the gender disparity in the building classes for youngsters. As a result, Molly has been instrumental in expanding Play-Well initiative in Washington to give young girls dedicated opportunities to try their hand at building and experimenting with mechanics in a fun, collaborative space. “This is not just pink LEGO. In fact, the curriculum is virtually identical to the co-ed programs. We are simply removing the minority pressure, and fostering the way girls play in the context of building and construction.” With a few LEGO pieces, Molly hopes this initiative will help build a few future female engineers. For more information, please contact Molly Lebowitz at 206.310.0678 or molly@play-well.org. Play-Well TEKnologies programs are not authorized, sponsored or endorsed by the LEGO® Group.